A great city is always full of hidden gems, and Columbus is no exception. This is what makes it so fun to explore! Every neighborhood features little coffee shops, diners, bakeries and eateries that are tucked down back streets or hidden just out of sight. They&apos;re maybe an adventure to find, but are always worth seeking out. Find Basi Italia down a brick-lined alley in Victorian Village. In this cozy eatery, Chef John Dornback has welcomed many guests with his simple but innovative Italian fare. 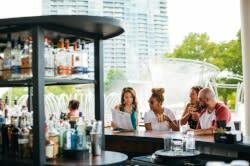 It&apos;s the perfect spot for a plate of pasta and a glass of wine, whether you&apos;re holed up inside during the winter months or enjoying fresh air on their covered back patio in the summer. Tuula&apos;s European Cafe blends into the surrounding storefronts in Dublin, but once you discover the coffee shop and bakery inside, you&apos;ll never want to leave. Tuula and her team craft savory quiches, sweet shortbreads, coffee cakes and lovely tarts to go with coffee and tea. Jack&apos;s Diner has been open downtown since the early 1940&apos;s. The diner space - complete with checkered floors, big booths and a long counter - is tucked down Lynn Alley. 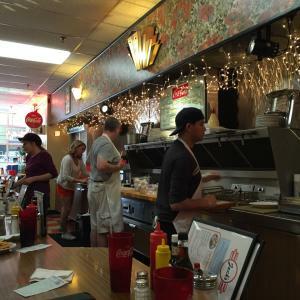 Owner Chris Kowalski serves up pancakes (made with Jack&apos;s original recipe), breakfast sandwiches, burgers, meatloaf - all the diner classics. And be sure to check out the fun seasonal decorations he puts up! Like many of the city&apos;s best global eateries, Lalibela Ethiopian Restaurant is hidden in plain sight in a strip mall. The comfortable interior is a calm and welcoming spot to enjoy authentic Ethiopian cuisine. Helpful servers can guide you through the menu to discover the colorful and wonderfully seasoned dishes made with meats and vegetables. Go as a group so you can sample more bites! Both Highline Coffee Co. and Yeah, Me Too qualify as the city&apos;s smallest coffee shops, making it easy to drive right by them. 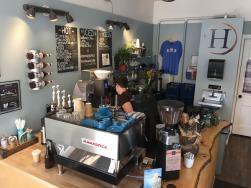 Highline is camped out in a 275-square-foot storefront in Old Worthington, where the team crafts espresso, coffee, tea and smoothies to fuel a day of exploring the neighborhood. Yeah, Me Too in Clintonville roasts their own beans and sells coffee two ways: in hot French press form or in a seasonal cold brew form. Find Hemingway&apos;s Coffee Nook inside the 175 on the Park building next to the Columbus Commons. The literary-themed shop features a huge menu of coffee drinks and snacks. Belle&apos;s Bread is tucked next to two fantastic eateries - Tensuke Express and Akai Hana. The bakery combines both European and Japanese flavors. 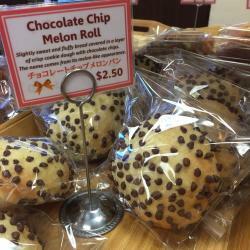 Try the sandwiches, pizza toasts and pastas, for sure, but finish with a selection of their baked goods, from the donuts filled with sweet bean paste to beautiful melon bread. And don&apos;t forget their matcha soft serve ice cream!